RACINE, Wis., Jan. 31, 2018 /PRNewswire/ -- Modine Manufacturing Company (NYSE: MOD), a diversified global leader in thermal management technology and solutions, is pleased to promote Joel Casterton to the position of Vice President, Vehicular Thermal Solutions (VTS). As previously announced, Holger Schwab, current Vice President, VTS, has announced that he will resign from Modine in the coming months. As Vice President, VTS, Casterton will lead the continuing execution of the global VTS business segment strategy. Casterton has a Bachelor of Science Degree in Industrial & Manufacturing Engineering from Iowa State University. 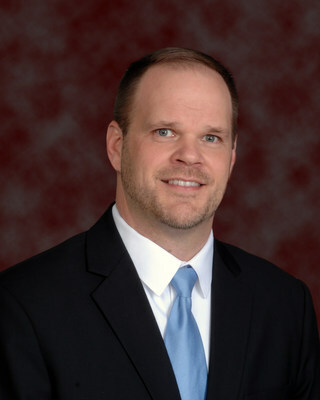 He joined Modine in 2005, and during his tenure with the company has held a variety of leadership roles including Engineering Manager - EPG, Engineering Director - EPG, North America Sales Director, Engineering Director - Asia, and, most recently Director - Global Program Management & Quality. Prior to Modine, Casterton was with Ford Motor Co. and Visteon Corp. for 10 years where he held positions in Process Development, Program Management, and Product Development. "Joel has been an integral part of the Modine team for over a decade, providing strong direction and leadership in each of his previous positions," said Thomas Marry, Executive Vice President & COO. "Joel's promotion into this position allows a seamless transition of this critical role." Modine, with fiscal 2017 revenues of $1.5 billion, specializes in thermal management systems and components, bringing highly engineered heating and cooling components, original equipment products, and systems to diversified global markets through its three complementary business units: Vehicular Thermal Solutions (VTS); Commercial & Industrial Solutions (CIS); and Building HVAC Systems (BHVAC). Modine is a global company headquartered in Racine, Wisconsin (USA), with operations in North America, South America, Europe, Asia, and Africa. For more information about Modine, visit www.modine.com.